Magento indexing is a process of transforming data to optimize website performance. If you change some information on your website, Magento should reindex these changes. Magento keeps a significant amount of information in database tables. Magento uses system of indexes to collect data and relationship between all information stored in different databases. If you change products attribute, prices or stock status Magento must reindex the data to display changes on your website. If you don’t use reindexer Magento should check and calculate all changes on the move. This calculation slow down your store performance. Slow performance cause to negative experience of customers and they can refuse of purchase. Also loading speed is one of Google ranking factors. Slowly performed website will be downgrade in search results. 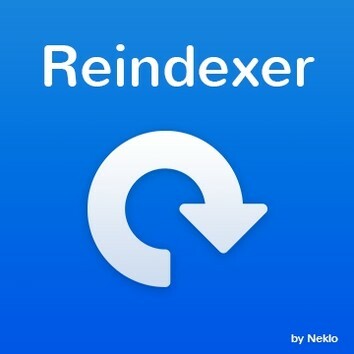 Advance reindexer by Neklo helps you to optimize your store and avoid performance issues. We used our own reindexing algorithm that can’t decline the speed of website performance. User friendly interface. You can choose categories and products that should be reindex and start the process in a few clicks. No more command line. You can install Reindexer extension in just two steps to your Magento Store. Select the categories you want to reindex. Thus, our Reindexer extension gives you more flexible as you can still reindex by schedule or whenever such a necessity arise and keep your customers informed.